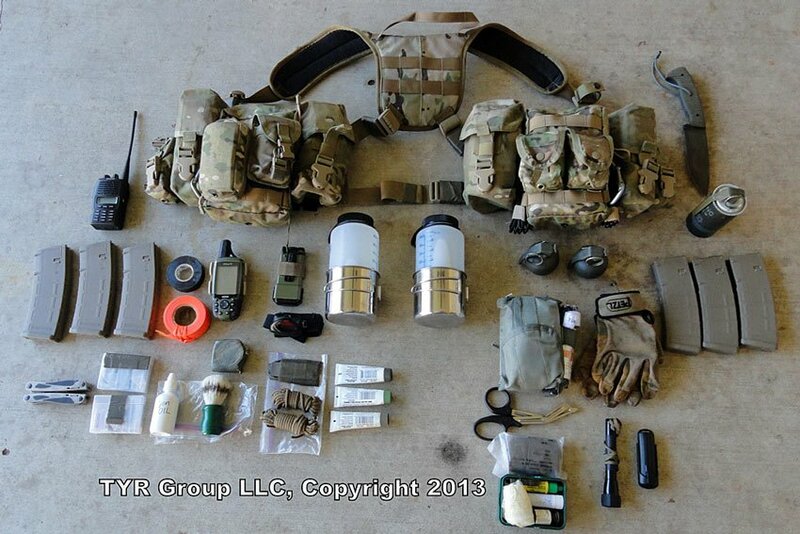 What Does a Military Combat Tracker’s EDC Gear Consist Of? 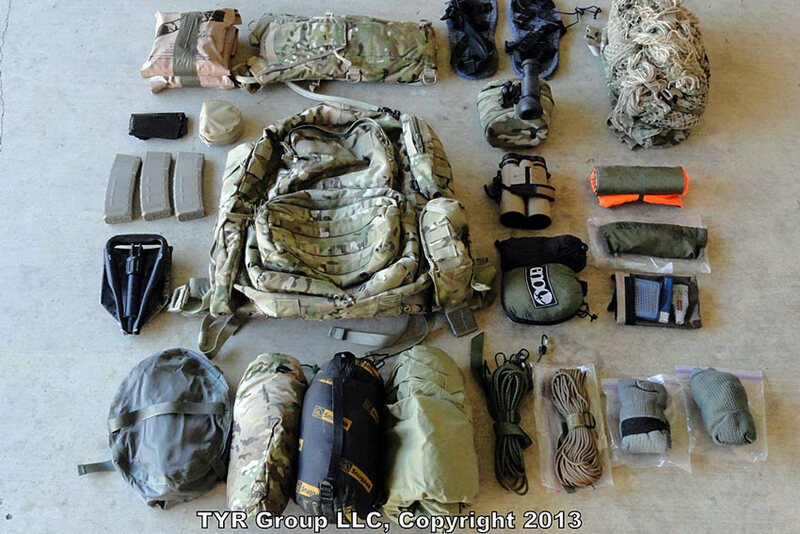 A combat tracker squad needs to travel as light as possible, but still carry the right equipment to survive on the battlefield. In order for the tracker and his squad to successfully perform their combat tracking mission, mobility will be key. The trackers ability to react to the enemy is reduced when overburdened with a heavy load, which will cause physical/mental fatigue and place the trackers in danger when needing to rapidly react to enemy contact. The trackers combat load is the mission-essential equipment required to fight and survive in the environment he’s operating in. He can’t be expected to carry gear for every possible contingency or combat situation, rather his loadout must be based on his particular mission and the ability to remain mobile but combat effective. When deciding on equipment, choose items that are light and multipurpose. Fighting loads must be light so that the tracker may remain alert, agile and stealthy. Level 1: Describes the uniform and equipment that is worn by the individual tracker. 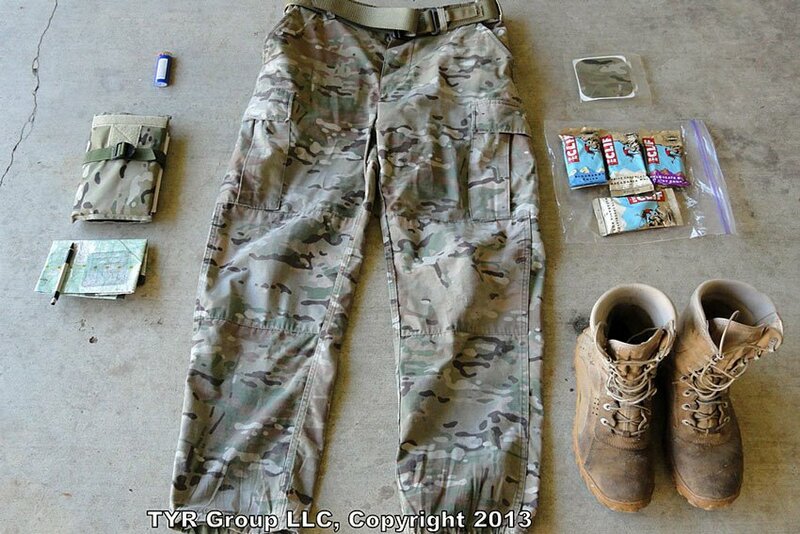 These items are the uniform, boots, belt, dog tags, compass, tourniquet and any other survival items carried on his person. Level 2: Describes the fighting load carried by the tracker which should not exceed 48 pounds. These items are typically the trackers individual weapon, basic load of ammunition and load bearing equipment. 1. Camouflage Jacket. 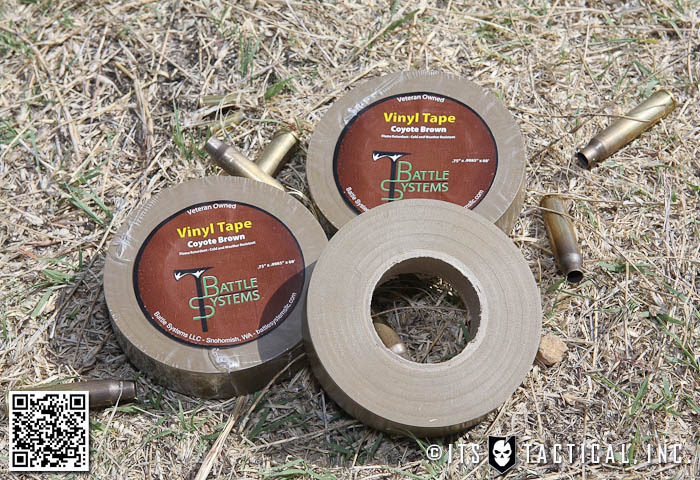 With 1″ square piece of infrared identification, friend or foe (IFF) tape attached. 2. Camouflage Headgear. With a 1″ square piece of Infrared IFF tape placed on the top of the headgear for identification by friendly air. 3. Signal Device. Phoenix IR-15 programmable transmitter with a 9V battery for marking one’s own position at night and a 10″x10″ orange signal square cut from a VS-17 Panel. This panel is used as a recognition signal device for linking up with other ground elements. 5. SAR Eclipse Signal Device. The SAR Eclipse device is very compact and has been tested and observed out to 10 miles during daylight conditions. 6. INOVA Microlight. This small flash light comes in white, green, blue and red colors and is perfect for signaling or conducting map checks at night. 7. Signal Mirror. Besides using a signal mirror for signaling, applying camouflage or shaving, it’s also a good piece of equipment to deflect and manipulate light in order to view details of an impression. 8. Whistle. A whistle comes in handy when having to signal commands to other friendly elements over gunfire. 9. Magnetic Compass. Although a GPS is a good piece of equipment, it will never take the place of good compass. 13. Notebook. This notebook is used to record information gained during the mission, along with footprint data cards. 14. Map, Protractor and Lead Pencil. 15. Field Expedient Patch Kit. To quickly repair minor rips or tears to the uniform during a mission. 16. Rations. Should be high energy food items. 1. Load Bearing Equipment (LBE). 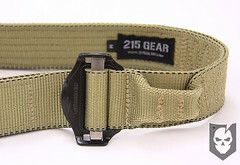 In this case a Tactical Tailor MAV, Split Front rig. 3. Magazines. No more than a basic combat load of ammunition for the weapon system should be carried on the LBE. 4. Electrical Tape. 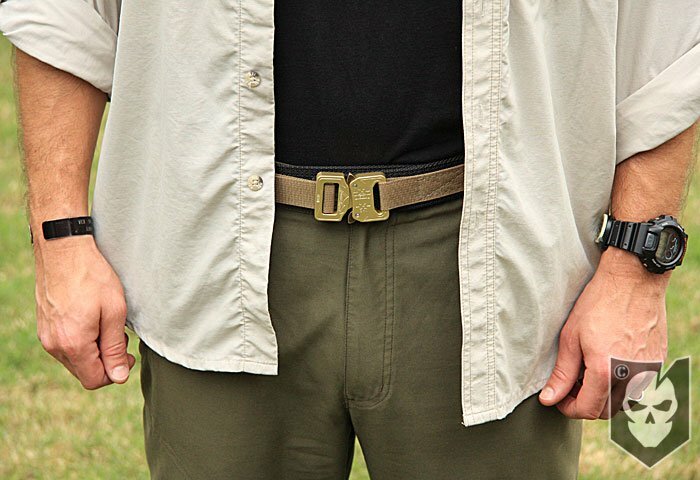 To secure items together while in the field. 5. Colored Surveyors Tape. For marking the last known sign. 6. GPS. The GPS is a good piece of equipment that can track the route of the squad and give the squad’s precise location. However, don’t become over reliant on technology that’s battery operated. When not pinpointing your location, keep the GPS turned off to conserve the battery life. 7. Strobe Light with IR Cover. For signaling friendly forces. 8. Multi-Tool. These are great for making small repairs and typically have a knife, file, flat tip and philips head screw driver, can opener and pliers. 9. Spare Batteries. Enough for all your equipment during the operation. When acquiring equipment, choose items that require the same type of batteries. AA batteries are compact and common enough that they can be found just about anywhere in the world. 10. Weapons Oil and Brush. A bottle of oil to protect and lubricate your equipment is essential in any environment. A shaving brush is also useful for brushing dust and debris from equipment. 11. Measuring Device. For taking measurements of impressions or showing scale when taking pictures. 12. Headlamp. A headlamp is a good item to have when it’s important to have both hands free such as conducting a prisoner search or some other type of exploitation. 13. 550 Cord. 25-30 feet of cordage should be carried for repairing, tying or lashing items. 14. Knife Sharpener. Carrying a sharpener is essential, as your knife won’t do you any good if it’s not sharp. 17. Knife. A multipurpose knife that has at least a six inch blade should be carried. The knife should be heavy, sharp and versatile enough to use for building shelter, various survival tasks or in use as a fighting knife. The knife pictured above was a collaborative design between the author and custom knife make Jeff Crowner. 18. Smoke Grenade. For screening or signaling. 19. Fragmentation Grenades. At least two fragmentation grenades should be carried when on patrol. 20. Individual First Aid Kit. This kit provides the necessary equipment to perform Self-Aid/Buddy-Aid and addresses the two leading causes of death on the battlefield, extremity hemorrhage and airway obstruction. Kit in photo includes: Tourniquet, (2) Elastic Bandages, Gauze Bandage 4-1/2″, Adhesive Surgical Tape , Airway Nasopharyngeal Airway, (4) Exam Gloves, (2) Pri-Med Gauze Bandages, EMS Shears, Triangular Bandage and Water Purification Tablets. 21. Gloves. Used to camouflage and protect the hands from sharp objects. 22. Mag-Lite Flashlight/Blast Match. 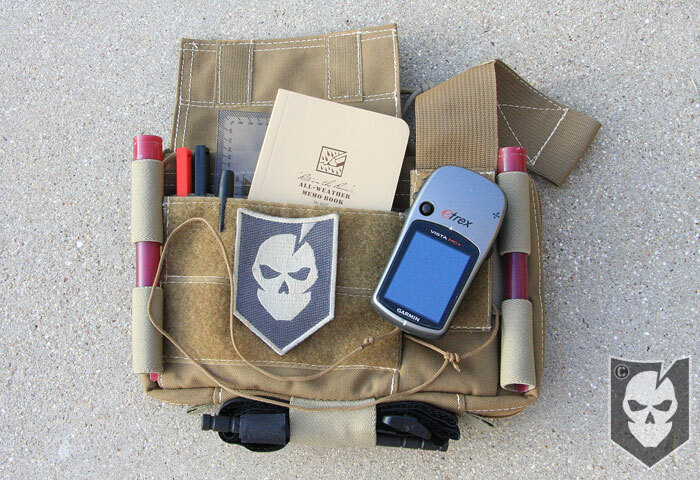 The Mag-Lite is for tracking during night time conditions. A Blast Match is another great fire producing survival tool designed for all-weather use and can be operated with one hand in case of injury. 23. Rifle. The rifle that is issued. Contrary to popular belief, soldiers and Law Enforcement alike don’t get to pick and choose their weapon system or the caliber it shoots. No matter what type of weapon is issued, the operator needs to be an expert with it. 24. Weapon Accessories. Optical scopes or red dot sights may be required for the mission depending on METT-T. Also, a Target Pointer/Illuminator/Aiming Light is good to have for operations at night. 1. Ruck Sack. This piece of equipment holds all mission essential equipment that’s to be carried by the tracker for extended operations. The size of this pack is dictated by the amount of equipment the tracker will need to sustain himself until a resupply can be requested. The estimated time on operation, terrain operating in and weather conditions the trackers will have to endure are all be factors to be considered. 2. Rations. Enough rations for 48-72 hours should be carried. 3. 3-Liter Hydration System. The tracker needs to carry enough water to last for the duration of the operation, or until a suitable water source is found, or resupply occurs. Water is always consumed from the pack first. Should the pack be dropped for any reason during the operation the tracker should have full canteens on his LBE. 4. Carlton’s CAT PAWS (Super Sneakers). CAT PAWS are a great item to place over the soles of the boot so the tracker can conceal his own tracks. 5. VIPER Hood. The Viper hood breaks up the recognizable and familiar outline and shape of the human head and shoulders. The best aspect of the Viper is that it is designed to be worn in conjunction with the trackers combat equipment without interfering with the trackers ability to get to the pouches on his LBE. 6. Large Trash Bag. For waterproofing or to store trash while on an operation. 7. Weapons Cleaning Kit. 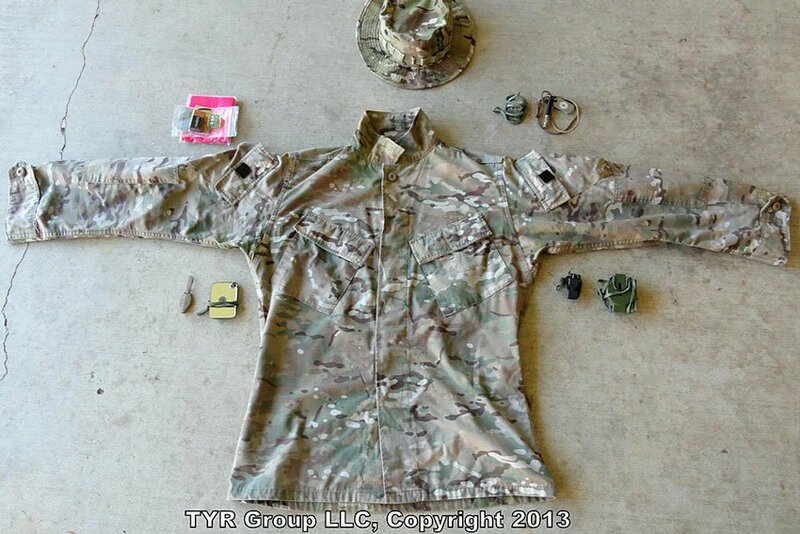 This kit should be capable of maintaining your weapon in a field environment. At a minimum, the kit should contain a bore brush, chamber brush, cleaning rod, slotted tip for patches, patches, CLP, lens brush for optics and an all-purpose utility brush. 8. Night Vision Device. Night vision is required when conducting operations at night. 9. Spare Magazines. Three extra loaded magazines. 10. Binoculars. Should be used whenever possible to detect the enemy from a distance. They also provide a larger field of view than a monocular or scope. 11. VS-17 Panel. The VS17 Signal Panel can be laid out on the ground to identify troop positions to friendly aircraft or to identify where help is needed. 12. E-Tool. The E-Tool is a lightweight collapsible spade shovel that can dig or chop. 13. Hammock. Depending on the operational environment, a hammock may be essential for staying dry when bedding down for the night. 14. Sewing and Equipment Repair Kit. This should include sewing thread, needles and safety pins. 15. Hygiene Kit. Minimal hygiene items such as nail clippers, tooth brush, tooth paste and small wash rag. 16. Compression Sack or Waterproof Bag. 17. Basha/Tarp. This needs to be large enough to provide protection from the elements as a shelter, or used as a makeshift litter to transport a casualty. 18. Sleeping Gear. Depending on the environment, this could range from a sleeping system with a ground mat for extreme temperatures, to a poncho liner for more tropical climates. 19. Gore-Tex Bivy. The bivy provides a waterproof, breathable cover that keeps out wind, snow and rain. 20. Bungee Cords. For quick lashing of items such as the tarp. 21. 550 Cord. 25-30 feet of cordage should be carried for repairing, tying or lashing items. 22. Spare Socks. Foot maintenance is imperative! Dry clean socks will help prevent blisters, hotspots and athlete’s foot. Again, when deciding on equipment, choose items that are light and multipurpose. Fighting loads must be light so that the tracker may remain alert, agile and stealthy. Editor-in-Chief’s Note: Please join us in welcoming John Hurth of TÝR Group as a Contributor on ITS. John is a retired U.S. Army Special Forces Soldier who served with 1st Special Forces Group at Ft. Lewis, WA where he participated in multiple deployments overseas to include two combat tours in support of the Global War On Terror. 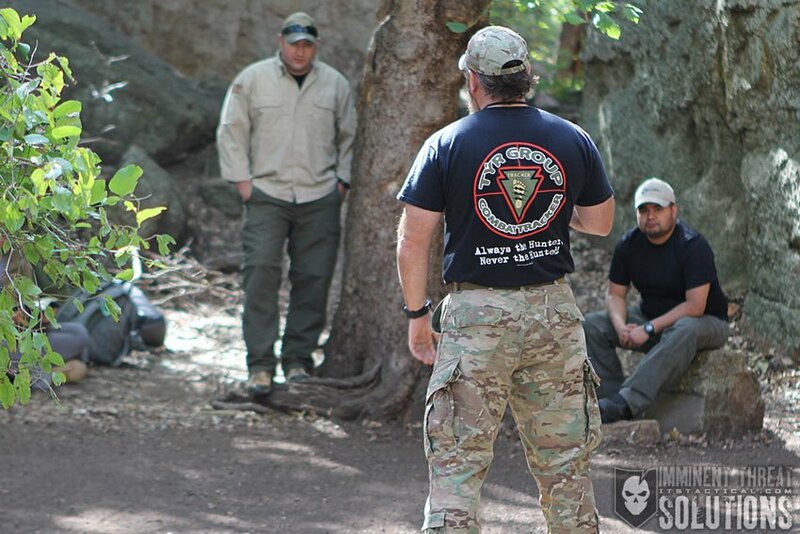 He now uses his years of tracking knowledge as the owner and lead instructor of the TÝR Group where he and his staff conduct training on various tracking techniques.